The SECRET MAGIC is hidden everywhere around us. Its like water droplets in the air which gets visible when Electricity is passed. . 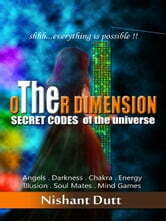 This book show will teach you about Out of body Experience (OBE), Astral Projection, Transformation and controlling any mind. . It will tell you how to find the purpose of your life, and how to understand the secret language of Universe. . 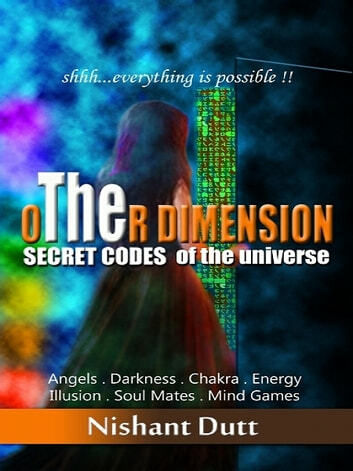 This book will make you aware of your Antimatter, your "Personal God" . This book will tell you every reason, why do you suffer from mental stress or body malfunctioning. How with a proper diagnosis, your body can absorb miraculous energies from the universe and nullify the ill effects. . Learn the techniques of how to tame your mind and how to LET GO things scientifically. . Discover how and when will you encounter your soul mate. . Why do you see the miraculous code 11:11 and what's the message behind it. . This book will provide every tool and technique that connects you with the 'SOFTWARE' called universe. These techniques were never ever discovered in the history of mankind. Ignite Your Spirit: What is Spirituality and How Do You Feel Great? So, We're Still Here, Now What? I'm O. K. I'm Just Mutating!